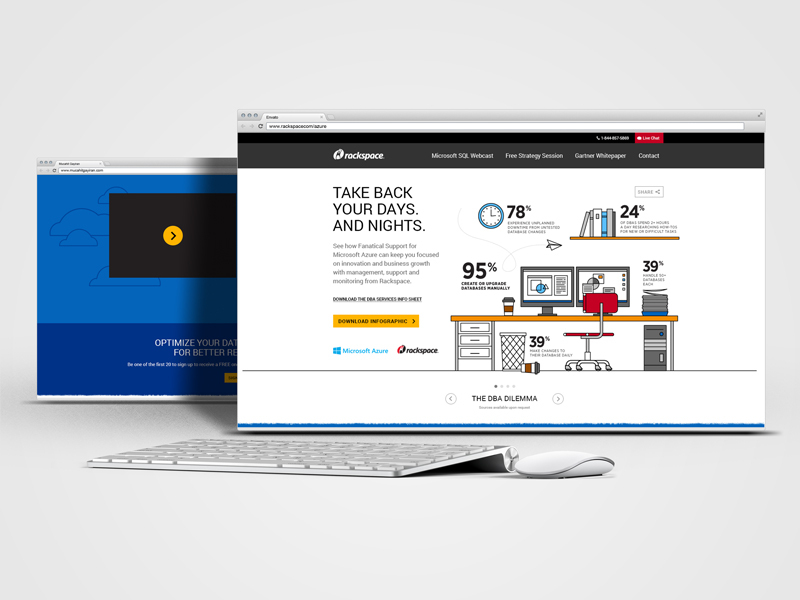 To help launch their new partnership with Microsoft Azure, Rackspace asked us to create an infographic and landing page to highlight the benefits of their new managed-service option for the Azure platform and support their promotional campaign for an informational webcast. 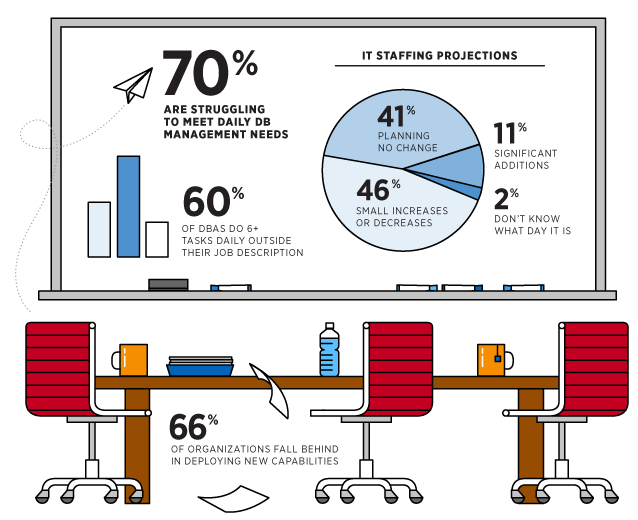 Starting with the infographic, we developed a concept that highlighted the pain points at each level of the IT decision-making chain – from the dba’s to the CTO – to demonstrate the breadth of the Rackspace+Microsoft partnership in delivering solutions to enterprise-level data challenges. 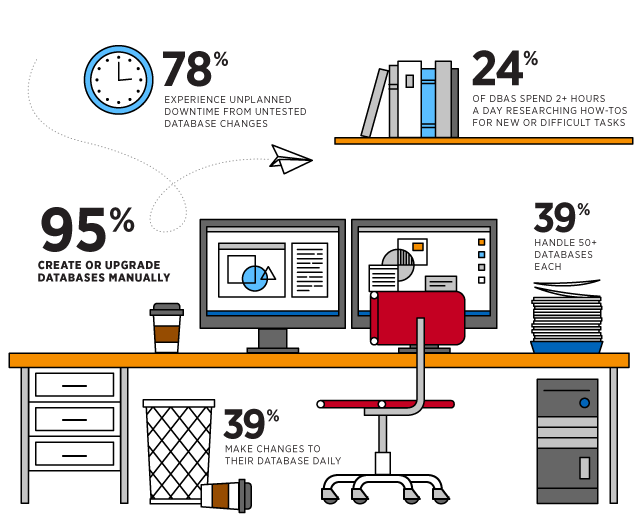 Using a narrative structure to create vignettes for our four audience segments, the infographic and subsequent landing page demonstrate that Rackspace and Microsoft understand the day-to-day struggles their audience is facing and how this managed service platform frees up time and resources at all levels of an organization to make businesses more innovative, agile and scalable. With the concept in place, we began a deep dive to understand the demands and challenges at each link in the IT chain. Based on the results of this research, we pulled together a visual representation of the problems that, in some cases literally, kept our audiences up at night. First up was the Database Administrator, whose 24/7 on-call status to keep their apps up and running make them the first line of defense and first on the call list when problems arise at 3am. Next was the IT Director, who struggles with stagnant budgets and an inability to plan for the unexpected. 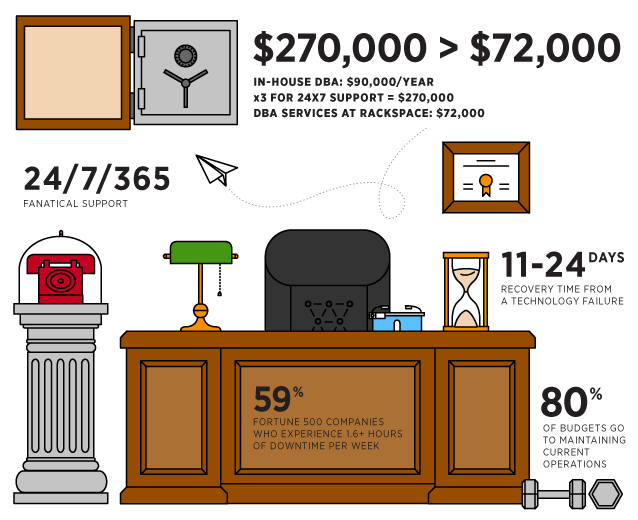 Add to that managing a team of disgruntled DBA’s tired of working long nights and weekends and it becomes abundantly clear why the IT Director would benefit immensely from Rackspace’s managed cloud solutions. For tech leadership, the tone shifts to dollars and sense, showcasing how Rackspace’s managed cloud solutions deliver the resources and protection they need without the overhead of staffing for a 24/7 support cycle. The last link in the chain is business innovation. With the exponential growth of data that threatens to bury businesses in a pile of overloaded servers, those responsible for future-proofing their businesses can quickly see why partnering with two giants in managed cloud solutions a strong bet for continued success.